An apprenticeship is a system of training a new generation of practitioners of a trade or profession with on-the-job training and often some accompanying study (classroom work and reading). Apprenticeship also enables practitioners to gain a license to practice in a regulated profession. Most of their training is done while working for an employer who helps the apprentices learn their trade or profession, in exchange for their continued labor for an agreed period after they have achieved measurable competencies. Apprenticeships typically last 3 to 7 years. People who successfully complete an apprenticeship reach the "journeyman" or professional certification level of competence. Although the formal boundaries and terminology of the apprentice/journeyman/master system often do not extend outside guilds and trade unions, the concept of on-the-job training leading to competence over a period of years is found in any field of skilled labor. Subsequently, governmental regulation and the licensing of technical colleges and vocational education formalized and bureaucratized the details of apprenticeship. Australian Apprenticeships encompass all apprenticeships and traineeships. They cover all industry sectors in Australia and are used to achieve both 'entry-level' and career 'upskilling' objectives. There were 475,000 Australian Apprentices in-training as at 31 March 2012, an increase of 2.4% from the previous year. Australian Government employer and employee incentives may be applicable, while State and Territory Governments may provide public funding support for the training element of the initiative. Australian Apprenticeships combine time at work with formal training and can be full-time, part-time or school-based. The person responsible for overseeing the training inside the company is called "Lehrherr" or "Ausbilder". An Ausbilder must prove that he has the professional qualifications needed to educate another person, has no criminal record and is an otherwise-respectable person. The law states that "the person wanting to educate a young apprentice must prove that he has an ethical way of living and the civic qualities of a good citizen". In the Czech Republic, the term "vocational school" (učiliště) can refer to the two, three or four years of secondary practical education. Apprenticeship Training is implemented under Education Act (školský zákon). Apprentices spend about 30–60% of their time in companies (sociální partneři školy) and the rest in formal education. Depending on the profession, they may work for two to three days a week in the company and then spend two or three days at a vocational school. In Switzerland, after the end of compulsory schooling, two thirds of young people follow a vocational training. Ninety percent of them are in the dual education system. Apprenticeships with a length of 2 years are for persons with weaker school results. The certificate awarded after successfully completing a 2-year apprenticeship is called "Eidgenössisches Berufsattest" (EBA) in German and "Certificato federale di formazione pratica" (CFP) in Italian. Apprenticeship with a length of 3 or 4 years are the most common ones. The certificate awarded after successfully completing a 3 or 4-year apprenticeship is called "Certificat Fédérale de Capacité" (CFC [fr]), "Eidgenössisches Fähigkeitszeugnis" (EFZ) or "Attestato federale di capacità" (AFC). Some crafts, such as electrician, are educated in lengths of 3 and 4 years. In this case, an Electrician with 4 years apprenticeship gets more theoretical background than one with 3 years apprenticeship. Also, but that is easily lost in translation, the profession has a different name. Each of the over 300 nationwide defined vocational profiles has defined framework – conditions as length of education, theoretical and practical learning goals and certification conditions. Typically an apprenticeship is started at age of 15 and 18 after finishing general education. Some apprenticeships have a recommend or required age of 18, which obviously leads to a higher average age. There is formally no maximum age, however, for persons above 21 it is hard to find a company due to companies preferring younger ages due to the lower cost of labour. Canadian Inter-provincial 'Red Seal' certification (note that license number was replaced with the word 'CANOE'). In Canada, apprenticeships tend to be formalized for craft trades and technician level qualifications. At the completion of the provincial exam, they may write the Provincial Standard exam. British Columbia is one province that uses these exams as the provincial exam. This means a qualification for the province will satisfy the whole country. The inter-provincial exam questions are agreed upon by all provinces of the time. At the time there were only four (4) provinces, Nova Scotia, New Brunswick, Canada East ( now Ontario ), and Canada West ( now Quebec). On January 18, 2005, President Jacques Chirac announced the introduction of a law on a programme for social cohesion comprising the three pillars of employment, housing and equal opportunities. The French government pledged to further develop apprenticeship as a path to success at school and to employment, based on its success: in 2005, 80% of young French people who had completed an apprenticeship entered employment. In France, the term apprenticeship often denotes manual labor but it also includes other jobs like secretary, manager, engineer, shop assistant... The plan aimed to raise the number of apprentices from 365,000 in 2005 to 500,000 in 2009. To achieve this aim, the government is, for example, granting tax relief for companies when they take on apprentices. (Since 1925 a tax has been levied to pay for apprenticeships.) The minister in charge of the campaign, Jean-Louis Borloo, also hoped to improve the image of apprenticeships with an information campaign, as they are often connected with academic failure at school and an ability to grasp only practical skills and not theory. After the civil unrest end of 2005, the government, led by prime minister Dominique de Villepin, announced a new law. Dubbed "law on equality of chances", it created the First Employment Contract as well as manual apprenticeship from as early as 14 years of age. From this age, students are allowed to quit the compulsory school system in order to quickly learn a vocation. This measure has long been a policy of conservative French political parties, and was met by tough opposition from trade unions and students. In Germany, there are 342 recognized trades (Ausbildungsberufe) where an apprenticeship can be completed. They include for example doctor's assistant, banker, dispensing optician, plumber or oven builder. The dual system means that apprentices spend about 50–70% of their time in companies and the rest in formal education. Depending on the profession, they may work for three to four days a week in the company and then spend one or two days at a vocational school (Berufsschule). This is usually the case for trade and craftspeople. For other professions, usually which require more theoretical learning, the working and school times take place blockwise e.g., in a 12–18 weeks interval. These Berufsschulen have been part of the education system since the 19th century. In 2001, two-thirds of young people aged under 22 began an apprenticeship, and 78% of them completed it, meaning that approximately 51% of all young people under 22 have completed an apprenticeship. One in three companies offered apprenticeships in 2003, in 2004 the government signed a pledge with industrial unions that all companies except very small ones must take on apprentices. After graduation from school at the age of fifteen to nineteen (depending on type of school), students start an apprenticeship in their chosen professions. Realschule and Gymnasium graduates usually have better chances for being accepted as an apprentice for sophisticated craft professions or apprenticeships in white-collar jobs in finance or administration. An apprenticeship takes between 2.5 and 3.5 years. Originally, at the beginning of the 20th century, less than 1% of German students attended the Gymnasium (the 8–9 year university-preparatory school) to obtain the Abitur graduation which was the only way to university back then. In the 1950s still only 5% of German youngsters entered university and in 1960 only 6% did. Due to the risen social wealth and the increased demand for academic professionals in Germany, about 24% of the youngsters entered college/university in 2000. Of those, who did not enter university many started an apprenticeship. The apprenticeships usually end a person's education by age 18–20, but also older apprentices are accepted by the employers under certain conditions. This is frequently the case for immigrants from countries without a compatible professional training system. In 1969, a law (the Berufsbildungsgesetz) was passed which regulated and unified the vocational training system and codified the shared responsibility of the state, the unions, associations and the chambers of trade and industry. The dual system was successful in both parts of the divided Germany. 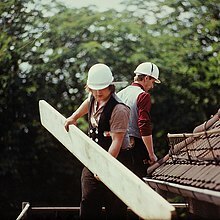 In the GDR, three-quarters of the working population had completed apprenticeships. The precise skills and theory taught on German apprenticeships are strictly regulated. The employer is responsible for the entire education programme coordinated by the German chamber of commerce. Apprentices obtain a special apprenticeship contract until the end of the education programme. During the programme it is not allowed to assign the apprentice to regular employment and he is well protected from abrupt dismissal until the programme ends. The defined content and skill set of the apprentice profession must be fully provided and taught by the employer. The time taken is also regulated. Each profession takes a different time, usually between 24 and 36 months. The rules and laws for the trade and craftwork apprentices such as mechanics, bakers, joiners, etc. are as strict as and even broader than for the business professions. The involved procedures, titles and traditions still strongly reflect the medieval origin of the system. Here, the average duration is about 36 months, some specialized crafts even take up to 42 months. To employ and to educate apprentices requires a specific license. The AdA – Ausbildung der Ausbilder – "Education of the Educators" license needs to be acquired by a training at the chamber of industry and commerce. The Apprentices Act enacted in 1961 and was implemented effectively in 1962. Initially, the Act envisaged training of trade apprentices. The Act was amended in 1973 to include training of graduate and diploma engineers as "Graduate" & "Technician" Apprentices. The Act was further amended in 1986 to bring within its purview the training of the 10+2 vocational stream as "Technician (Vocational)" Apprentices. For Trades Apprentices (ITI-Passed/Fresher) : DGE&T is also responsible for implementation of the Act in respect of Trade Apprentices in the Central Govt. Undertakings & Departments. This is done through six Regional Directorates of Apprenticeship Training located at Kolkata, Mumbai, Chennai, Hyderabad, Kanpur & Faridabad.While State Apprenticeship Advisers are responsible for implementation of the Act in respect of Trade Apprentices in State Government Undertakings/ Departments and Private Establishments. For Graduate, Technician (Polytechnic Diploma holder) & Technician (H.S Vocational-Passed) Apprentices: Department of Education in the Ministry of Human Resource Development is responsible for implementation of the through four Boards of Apprenticeship Training located at Chennai, Kanpur, Kolkata, & Mumbai. The training period varies for different trades ranging from 1–4 years. As of 2015, more than 30,000 apprentices are being trained in 2,751 industries in 276 trades across Pakistan. This figure constitutes less than 10% of institution based Vocational Training i.e. more than 350 thousand annually. There are three levels of apprenticeship. The first level is the apprentice, i.e., the "çırak" in Turkish. 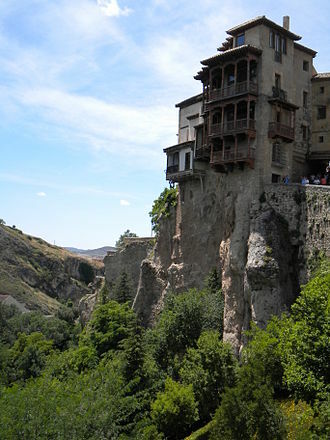 The second level is pre-master which is called, "kalfa" in Turkish. The mastery level is called as "usta" and is the highest level of achievement. An 'usta' is eligible to take in and accept new 'ciraks' to train and bring them up. The training process usually starts when the small boy is of age 10–11 and becomes a full-grown master at the age of 20–25. Many years of hard work and disciplining under the authority of the master is the key to the young apprentice's education and learning process. Apprenticeships have a long tradition in the United Kingdom, dating back to around the 12th century and flourishing by the 14th century. The parents or guardians of a minor would agree with a master craftsman or tradesman the conditions for an apprenticeship. This contract would then bind the youth for 5–9 years (e.g., from age 14 to 21). Apprentice's families would sometimes pay a "premium" or fee to the craftsman and the contract would usually be recorded in a written indenture. Modern apprenticeships range from craft to high status in professional practice in engineering, law, accounting, architecture, management consulting, and others. In towns and cities with guilds, apprenticeship would often be subject to guild regulation, setting minimum terms of service, or limiting the number of apprentices that a master could train at any one time. Guilds also often kept records of who became an apprentice, and this would often provide a qualification for later becoming a freeman of a guild or a citizen of a city. Many youths would train in villages or communities that lacked guilds, however, so avoiding the impact of these regulations. In the 16th century, the payment of a "premium" to the master was not at all common, but such fees became relatively common by the end of the 17th century, though they varied greatly from trade to trade. The payment of a one-off fee could be very difficult for some parents, limiting who was able to undertake apprenticeships. In the 18th-century, apprenticeship premiums were taxed, and the registers of the Stamp Duty that recorded tax payments mostly survive, showing that roughly one in ten teenage males served an apprenticeship for which they paid fees, and that the majority paid five to ten pounds to their master. In theory no wage had to be paid to an apprentice since the technical training was provided in return for the labour given, and wages were illegal in some cities, such as London. However, it was usual to pay small sums to apprentices, sometimes with which to buy, or instead of, new clothes. By the 18th century regular payments, at least in the last two or three years of the apprentice's term, became usual and those who lived apart from their masters were frequently paid a regular wage. This was sometimes called the "half-pay" system or "colting", payments being made weekly or monthly to the apprentice or to his parents. In these cases, the apprentice often went home from Saturday night to Monday morning. This was the norm in the 19th century but this system had existed in some trades since the 16th century. 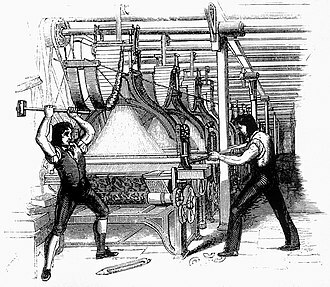 In the early years of the Industrial Revolution entrepreneurs began to resist the restrictions of the apprenticeship system, and a legal ruling established that the Statute of Apprentices did not apply to trades that were not in existence when it was passed in 1563, thus excluding many new 18th century industries. In 1814 the requirement that a worker in a skilled trade needed to have served an apprenticeship was abolished. The mainstay of training in industry has been the apprenticeship system (combining academic and practice), and the main concern has been to avoid skill shortages in traditionally skilled occupations and higher technician and engineering professionals, e.g., through the UK Industry Training Boards (ITBs) set up under the 1964 Act. The aims were to ensure an adequate supply of training at all levels; to improve the quality and quantity of training; and to share the costs of training among employers. The ITBs were empowered to publish training recommendations, which contained full details of the tasks to be learned, the syllabus to be followed, the standards to be reached and vocational courses to be followed. These were often accompanied by training manuals, which were in effect practitioners' guides to apprentice training, and some ITBs provide training in their own centres. The ITBs did much to formalise what could have been a haphazard training experience and greatly improved its quality. The years from the mid-1960s to the mid-1970s saw the highest levels of apprentice recruitment, yet even so, out of a school leaving cohort of about 750,000, only about 110,000 (mostly boys) became apprentices. The apprenticeship system aimed at highly developed craft and higher technician skills for an elite minority of the workforce, the majority of whom were trained in industries that declined rapidly from 1973 onwards, and by the 1980s it was clear that in manufacturing this decline was permanent. Since the 1950s, the UK high technology industry (Aerospace, Nuclear, Oil & Gas, Automotive, Telecommunications, Power Generation and Distribution etc.) trained its higher technicians and professional engineers via the traditional indentured apprenticeship system of learning – usually a 4–6 year process from age 16–21. There were 4 types of traditional apprenticeship: craft, technician, higher technician, and graduate. Craft, technician and higher technician apprenticeships usually took 4 to 5 years while a graduate apprenticeship was a short 2-year experience usually while at university or post graduate experience. Non-graduate technician apprenticeships were often referred to as "technical apprenticeships". The traditional apprenticeship framework in the 1950s, 1960s and 1970s was designed to allow young people (from 16 years old) an alternative path to A Levels to achieve both an academic qualification (equivalent to today's level 4 or 5 NVQs) and competency-based skills for knowledge work. Often referred to as the "Golden Age" of work and employment for bright young people, the traditional technical apprenticeship framework was open to young people who had a minimum of 4 GCE O-Levels to enroll in an Ordinary National Certificate or Diploma (ONC, OND) or a City & Guilds engineering technician course. Apprentices could progress to the Higher National Certificate, Higher National Diploma (HNC, HND) or advanced City and Guilds course such as Full Technological Certification. Apprenticeship positions at elite companies often had hundreds of applications for a placement. Academic learning during an apprenticeship was achieved either via block release or day release at a local technical institute. An OND or HND was usually obtained via the block release approach whereby an apprentice would be released for periods of up to 3 months to study academic courses full-time and then return to the employer for applied work experience. For entrance into the higher technical engineering apprenticeships, GCE O-Levels had to include Mathematics, Physics, and English language. The academic level of subjects such as mathematics, physics, chemistry on ONC/OND, and some City & Guilds advanced technician courses, was equivalent to A level mathematics, physics and chemistry. The academic science subjects were based on applied science in subjects such as thermodynamics, fluid mechanics, mechanics of machines, dynamics and statics, electrical science and electronics. These are often referred to as the engineering sciences. HNC and HND were broadly equivalent to subjects in the first year of a bachelor's degree in engineering but not studied to the same intensity or mathematical depth. HNC was accepted as entrance into the first year of an engineering degree and high performance on an HND course could allow a student direct entry into the second year of a degree. Few apprentices followed this path since it would have meant 10–12 years in further and higher education. For the few that did follow this path they accomplished a solid foundation of competency-based work training via apprenticeship and attained a higher academic qualification at a university or Polytechnic combining both forms of education; vocational plus academic. During the 1970s, City and Guilds assumed responsibility for the administration of HNC and HND courses. 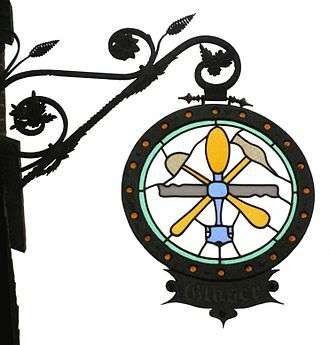 The City and Guilds of London Institute the forerunner of Imperial College engineering school has been offering vocational education through apprenticeships since the 1870s from basic craft skills (mechanic, hairdresser, chef, plumbing, carpentry, bricklaying, etc.) all the way up to qualifications equivalent to university master's degrees and doctorates. The City and Guilds diploma of fellowship is awarded to individuals who are nationally recognised through peer review as having achieved the very highest level in competency-based achievement. The first award of FCGI was approved by Council in December 1892 and awarded in 1893 to Mr H A Humphrey, Engineering Manager of the Refined Bicarbonate and Crystal Plant Departments of Brunner, Mond & Co. His award was for material improvements in the manufacture of bicarbonate of soda. The system of nomination was administered within Imperial College, with recommendations being passed to the Council of the Institute for approval. About 500–600 people have been awarded Fellowship. The traditional apprenticeship framework's purpose was to provide a supply of young people seeking to enter work-based learning via apprenticeships by offering structured high-value learning and transferable skills and knowledge. Apprenticeship training was enabled by linking industry with local technical colleges and professional engineering institutions. The apprenticeship framework offered a clear pathway and competency outcomes that addressed the issues facing the industry sector and specific companies. This system was in place since the 1950s. The system provided young people with an alternative to staying in full-time education post- 16/18 to gain purely academic qualifications without work-based learning. The apprenticeship system of the 1950s, 1960s and 1970s provided the necessary preparation for young people to qualify as a Craft trade (Machinist, Toolmaker, Fitter, Plumber, Welder, Mechanic, Millwright etc. ), or Technician (quality inspector, draughtsman, designer, planner, work study, programmer), or Technician Engineer (tool design, product design, methods, stress and structural analysis, machine design etc.) and enabled a path to a fully qualified Chartered Engineer in a specific discipline (Mechanical, Electrical, Civil, Aeronautical, Chemical, Building, Structural, Manufacturing etc.). The Chartered Engineer qualification was usually achieved aged 28 and above. Apprentices undertook a variety of job roles in numerous shop floor and office technical functions to assist the work of master craftsmen, technicians, engineers, and managers in the design, development, manufacture and maintenance of products and production systems. It was possible for apprentices to progress from national certificates and diplomas to engineering degrees if they had the aptitude. The system allowed young people to find their level and still achieve milestones along the path from apprenticeship into higher education via a polytechnic or university. Though rare, it was possible for an apprentice to advance from vocational studies, to undergraduate degree, to graduate study and earn a master's degree or a PhD. The system was effective; industry was assured of a supply of practically educated and work-skilled staff, local technical colleges offered industry relevant courses that had a high measure of academic content and an apprentice was prepared for professional life or higher education by the age of 21. With the exception of advanced technology companies particularly in aerospace (BAE systems, Rolls-Royce, Bombardier) this system declined with the decline of general manufacturing industry in the UK. Traditional apprenticeships reached their lowest point in the 1980s: by that time, training programmes declined. The exception to this was in the high technology engineering areas of aerospace, chemicals, nuclear, automotive, power and energy systems where apprentices continued to served the structured four- to five-year programmes of both practical and academic study to qualify as engineering technician or Incorporate Engineer (engineering technologist) and go on to earn a master of engineering degree and qualify as a Chartered Engineer (UK); the UK gold standard engineering qualification. Engineering technicians and technologists undertook combined theory and practice typically for example at a technical college for one day and two evenings per week on a City & Guilds programme or Ordinary National Certificate / Higher National Certificate course. Becoming a chartered engineer via the apprenticeship route normally involved 10 – 12 years of academic and vocational training at a combination of an employer, college of further education and/or university. In 1986 National Vocational Qualifications (NVQs) commenced to stem a great fall in vocational training. By 1990, apprenticeship had reached an approximate low, at ​2⁄3 of 1% of total employment. A path with parity involving university-only education. As of 2009, there are over 180 apprenticeship frameworks. The current scheme extends beyond manufacturing and high technology industry to parts of the service sector with no apprenticeship tradition. In 2008, Creative & Cultural Skills, the Sector Skills Council, introduced a set of Creative Apprenticeships awarded by EDI. A freelance apprenticeship framework was also approved and uses freelance professionals to mentor freelance apprentices. The Freelance Apprenticeship was first written and proposed by Karen Akroyd (Access To Music) in 2008. In 2011, Freelance Music Apprenticeships are available in music colleges in Birmingham, Manchester and London. The Department of Education under its 2007–2010 name stated their intention to make apprenticeships a "mainstream part of England's education system". Employers who offer apprenticeship places have an employment contract with their apprentices, but off-the-job training and assessment is wholly funded by the state for apprentices aged between 16–18 years. In England, Government only contributes 50% of the cost of training for apprentices aged 19–24 years. Apprenticeships at Level 3 or above for those aged 24 or over no longer receive state funding, although there is a state loan facility in place by which individuals or companies can cover the cost of study and assessment and repay the state by installments over an extended period at preferential rates of interest. Government funding agencies (in England, the Skills Funding Agency) contract with "learning providers" to deliver apprenticeships, and may accredit them as a National Skills Academy. These organisations provide off-the-job tuition and manage the bureaucratic workload associated with the apprenticeships. Providers are usually private training companies but might also be further education colleges, voluntary sector organisations, Chambers of Commerce or employers themselves. Intermediate Apprenticeship (Level 2; equivalent to five good GCSE passes): provides learners with the skills and qualifications for their chosen career and allow entry (if desired) to an Advanced Apprenticeship. To be accepted learners need to be enthusiastic, keen to learn and have a reasonable standard of education; most employers require applicants to have two or more GCSEs (A*-C), including English and Maths. Advanced Apprenticeship (Level 3; equivalent to two A-level passes): to start this programme, learners should have five GCSEs (grade A*-C) or have completed an Intermediate Apprenticeship. This will provide them with the skills and qualifications needed for their career and allow entry (if desired) to a Higher Apprenticeship or degree level qualification. Advanced apprenticeships can last between two and four years. Higher Apprenticeship (Level 4/5; equivalent to a Foundation Degree): to start this programme, learners should have a Level 3 qualification (A-Levels, Advanced Diploma or International Baccalaureate) or have completed an Advanced Apprenticeship. Higher apprenticeships are designed for students who are aged 18 or over. Degree Apprenticeship (Level 5/6; achieve bachelor's degree) and (Level 7 Masters): to start this programme, learners should have a level 3/4 qualification (A-Levels, Advanced Diploma or International Baccalaureate) relevant to occupation or have completed an Advanced Apprenticeship also relevant to occupation. It differs from a 'Higher Apprenticeship' due to graduating with a bachelor's degree at an accredited university. Degree apprenticeships can last between two and four years. From April 2017 an Apprenticeship Levy has been in place to fund apprenticeships. Many UK public bodies are subject to a statutory target to employ an average of at least 2.3% of their staff as new start apprentices over the period from 1 April 2017 to 31 March 2021, and to "have regard" to this target when planning their recruitment and career development activities. 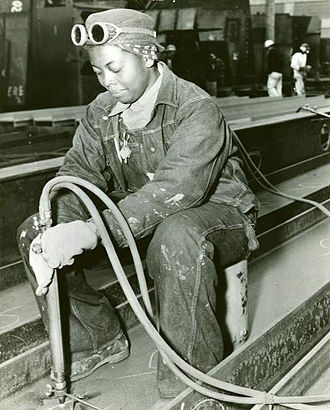 Apprenticeship programs in the United States are regulated by the Smith–Hughes Act (1917), The National Industrial Recovery Act (1933), and National Apprenticeship Act, also known as the "Fitzgerald Act." Trade associations such as the Independent Electrical Contractors and Associated Builders and Contractors also offer a variety of apprentice training programs. 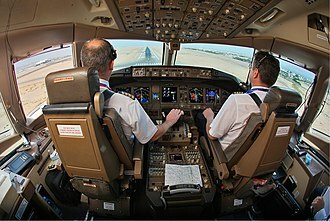 Eight registered programs also are offered by the Aerospace Joint Apprenticeship Committee (AJAC) to fill a shortage of aerospace and advanced manufacturing workers in Washington State, including occupations such as machinist, tool and die maker, industrial maintenance technician and registered Youth Apprenticeships. Youth Apprenticeship is promising new strategy to engage youth in career connected learning, encourage high school completion, lower the youth unemployment rate, lower the skills gap and to provide a pipeline for youth into higher education or into industry as qualified workers to fill open positions. These programs provide high school sophomores, juniors, and seniors with a career and educational pathway into industry. They develop real-world skills, earn competitive wages, and gain high school credits towards graduation and receive tuition free college credits. Upon completion of the program, the youth apprentices will obtain a journey level certification from the State Department of Labor and Industries, a nationally recognized credential. Youth apprenticeship has been successfully piloted in a number of states including, Washington, Wisconsin, Colorado, Oregon, North Carolina and South Carolina. In these states, thousands of high school students engage in both classroom technical training and paid structured on-the-job training across a number of high-growth, high-demand industries. In Charlotte, NC several companies, many rooted in Europe, have started joint programs (Apprenticeship Charlotte and Apprenticeship 2000) to jointly further the idea of apprenticeships and close the gap in technical workforce availability. In Washington State, the Aerospace Joint Apprenticeship Committee has partnered with nearly 50 aerospace manufacturing companies to offer registered Youth Apprenticeships in partnership with the Washington State Department of Labor & Industries. Apprenticeship programs for individuals who have been previously incarcerated aim to decrease recidivism and increase re-entry employment. The Post-Release Employment Project cross analyzed data of inmates who utilized re-entry apprenticeship programs amongst those who did not. It has been found that post-prison programs increase an ex-inmate's likelihood to retain employment. Participation in work and job skill programs decreased an inmates likelihood of being recommitted by 8 to 12 years. The three main types of re-entry apprenticeship programs are: "jobs in the prison setting, short term vocation training in prison, and short term assistance in the job search process upon release." Research done by Uggan in 2000, concluded that these programs have the greatest effects on individuals older than 26 years old. Andrews et al., highlights the importance of catering prison programs to the needs of a specific offender. Not everyone will benefit equally from these programs and this form of training has found to only be beneficial to for those who are ready to exit crime. An example of a re-entry apprenticeship program is Job Corps. Job Corps is a residential program centered around work, providing a structured community for at-risk teens. In 2000, an experiment done by Schochet et al., found that those who were not enrolled in the program were had an arrest rate 15.9% higher than those who were enrolled in the program. In Liberia, tailor apprenticeships engage with more skilled tailors to learn the craft and the skills that may be taught in more traditional school settings. They learn from master tailors, which gives the apprentices a promised job once their training is completed. Apprentices must have a grasp on patterns, measurement, and other math skills. They demonstrate full concept mastery before moving on to the next piece of clothing. Instead of formal testing for evaluation, articles of clothing must meet the quality standards before they can be sold and before the apprentice can begin a new design. ^ "Apprenticeship indenture". Cambridge University Library Archives (Luard 179/9). March 18, 1642. ^ "Apprenticeship indentures 1604–1697". Cambridge St Edward Parish Church archives (KP28/14/2). Archived from the original on 2011-08-13. Retrieved 2009-12-07. ^ "Australian Apprenticeships Homepage". www.australianapprenticeships.gov.au. Archived from the original on 29 December 2007. Retrieved 11 December 2007. ^ "Tips on Retaining Your Apprentice or Apprenticeship". ^ "Australian Apprenticeships and Traineeships Information Service". ^ "MEGT Australia – Apprenticeships, Traineeships, Recruitment". MEGT (Australia) Ltd.
^ a b "Bundesministerium für Bildung, Wissenschaft und Forschung: Aktuelles". Archived from the original on 2009-12-17. Retrieved 2010-07-11. ^ a b (in French) Catherine Dubouloz, "La Suisse, pays de l’apprentissage", Le temps, 27 December 2016 (page visited on 20 October 2018). ^ Federal Ministry of Economics and Technology (Germany). "BMWi – Ausbildungsberufe". german language. Archived from the original on 20 December 2008. Retrieved 2009-01-03. ^ "Home Page :: Directorate General of Training (DGT)". Archived from the original on 2016-09-24. Retrieved 2016-08-21. ^ a b Aldrich, Richard (2005) [1997 in A. Heikkinen and R. Sultana (eds), Vocational Education and Apprenticeships in Europe]. "13 – Apprenticeships in England". Lessons from History of Education. Routledge. pp. 195–205. ISBN 978-0-415-35892-7. Retrieved 2008-06-15. ^ Wallis, Patrick (September 2008). "Apprenticeship and Training in Premodern England". Journal of Economic History. 68 (3): 832–861. doi:10.1017/S002205070800065X – via https://www.cambridge.org/core/. ^ Withington, Phil (2005). The Politics of Commonwealth: Citizens and Freemen in Early Modern England. Cambridge. pp. 29–30. ^ Minns, Chris; Wallis, Patrick (July 2013). "The price of human capital in a pre-industrial economy: Premiums and apprenticeship contracts in 18th century England". Explorations in Economic History. 50 (3): 335–350. doi:10.1016/j.eeh.2013.02.001. ^ a b "Apprenticeship in England – Learn – FamilySearch.org". 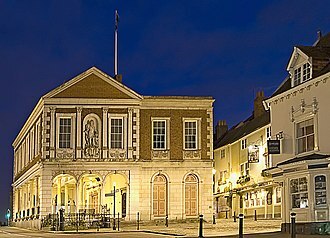 ^ a b "Research, education & online exhibitions > Family history > In depth guide to family history > People at work > Apprentices". The National Archives. Archived from the original on 27 July 2008. Retrieved 2008-06-16. ^ Dunlop, O. J. (1912). "iv". English Apprenticeship and Child Labour, a History. London: Fisher Unwin. ^ Langford, Paul (1984) . "7 – The Eighteenth Century". In Kenneth O. Morgan. The Oxford Illustrated History of Britain. Oxford: OUP. p. 382. ISBN 978-0-19-822684-0. ^ Peter Haxby and David Parkes. "Apprenticeship in the United Kingdom: From ITBs to YTS". European Journal of Education, Vol. 24, No. 2 (1989), pp. 167–181. ^ Peter Whalley, "The social production of technical work: the case of British engineers", SUNY Press 1986. ^ "What can I do an apprenticeship in?". NGTU. Archived from the original on 31 May 2009. Retrieved 2009-05-31. ^ "Creative Apprenticeships". Creative & Cultural Skills. Archived from the original on 2012-08-15. ^ "UNITED STATES DEPARTMENT OF LABOR". U.S. Department of Labor. ^ Krupnick, Matt (27 September 2016). "U.S. quietly works to expand apprenticeships to fill white-collar jobs: With other countries' systems as a model, apprenticeships have started to expand". Hechinger Report. Teachers College at Columbia University. Retrieved 27 September 2016. ^ Salvador Rodriguez (2017-04-11). "As Trump Stifles Immigration, Expect Tech to Turn to Apprenticeships". Inc.
^ "Archived copy". Archived from the original on 2008-12-10. Retrieved 2016-02-07. CS1 maint: Archived copy as title (link) SAISD Fundamental Beliefs: Excellence and equity in student performance are achievable for all students. ^ "The Construction Chart Book: The US Construction Industry and its Workers" (PDF). CPWR. Retrieved 17 June 2013. ^ "NCEES: Students". NCEES. Archived from the original on 2016-02-01. ^ Saylor, William (1997). "Training Inmates Through Industrial Work Participation and Vocational Work and Apprenticeship Instruction" (PDF). www.bop.gov. ^ Saylor, William (1997). "Training Inmates Through Industrial Work and Participation and Vocational and Apprenticeship Instruction" (PDF). www.bop.gov. ^ a b c d Bushway, Shawn (2003). "Employment Dimensions of Reentry" (PDF). www.urban.org. Retrieved 2018-12-17. ^ Lave, Jean (1988). The Culture of Acquisition and the Practice of Understanding. Institute for Research Learning. pp. 310–326. ^ Smith, Adam (1776). Wealth of Nations: An Inquiry Into the Nature and Causes of The Wealth of Nations. London: W. Strahan and T. Cadell. ISBN 9781607781738. Dominique Marie François René Galouzeau de Villepin is a French politician who served as the Prime Minister of France from 31 May 2005 to 17 May 2007. A career diplomat, Villepin rose through the ranks of the French right as one of Jacques Chiracs protégés and he came into the international spotlight as foreign minister with his opposition to the 2003 invasion of Iraq, which culminated with a speech to the UN. Villepin has enjoyed a modest return to public favour for his critique of President Sarkozys style of imperial rule. He has written poetry, a book about poetry, and several historical and political essays, Villepin is an honorary member of the International Raoul Wallenberg Foundation. Villepin was born in Rabat and spent some time in Venezuela and he graduated from the Lycée Français de New York in 1971. He has three children, Marie and Victoire, contrary to what his surname suggests, Villepin is not from an aristocratic background but from a middle class family. His ancestors added the particle de to the family name and his great-grandfather was a colonel in the French army, his grandfather was a board member for several companies, and his father Xavier de Villepin was a diplomat and a member of the Senate. Villepin speaks French and Spanish, Villepin studied at the Institut dÉtudes Politiques de Paris and went on to the École nationale dadministration, Frances highly selective post-graduate school which trains its top civil servants. Villepin holds degrees in Civil law and French literature from the universities of Panthéon-Assas, at the end of his studies he completed his military service as a naval officer on board the Aircraft Carrier Clemenceau, Villepin entered a career in diplomacy. His assignments were, Advising Committee on African affairs The French embassy in Washington, in 1993 he became chief of staff of Alain Juppé, the Foreign Minister in Édouard Balladurs cabinet, who was Chiracs political heir apparent. He advised the president to hold a general election in 1997. This was a gamble, and Chiracs party went on to lose the elections. Villepin offered Chirac his resignation afterwards, but it was turned down, Villepin has had an uneasy relationship with the members of his own political side. The contrat première embauche was a new form of employment contract pushed in spring 2006 in France by Prime Minister Dominique de Villepin. Actually, President Jacques Chirac declared that the law would be put on the statute book, article 8 of the 31 March 2006 Equality of Opportunity Act, establishing the CPE, was repealed by a 21 April 2006 law on the Access of Youth to Professional Life in Firms. 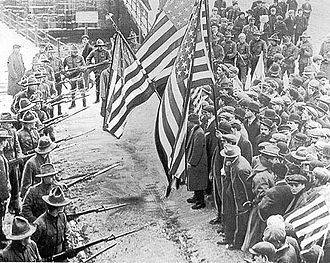 The rest of the Equality of Opportunity Act, whose dispositions were contested by the protests, was maintained. CPE was introduced by the Government as an amendment to the Statute on the Equality of Opportunities law. This law was proposed by Prime Minister Dominique de Villepin allegedly to tackle a 23% unemployment rate among the young, the bill was examined by the French National Assembly between 31 January and 9 February. The amendment was adopted by the Assembly around 2 AM on 9 February 2006, since Villepins UMP party had an absolute majority in the Assembly, there was no chance that such a motion could be adopted. Predictably, a motion of censure was proposed by the opposition and was rejected by the Assembly on 21 February. The Law was examined by the Senate between 23 February and 5 March, at which date the Senate approved it, the law was adopted on 8 March by the Assembly, and on 9 March by the Senate. Because opposition members of the Assembly and the Senate requested constitutional review of the text, the Council considered the law constitutional, but made a number of reservations, on 30 March. Those reservations impose guidelines under which the law was to be applied, the law was disapproved by a sizable proportion of the French population. Massive street protests began, mostly by students from schools and universities. The protest movement was certainly the biggest seen in France since 1968, the whole act was signed into law on 31 March by president Jacques Chirac. 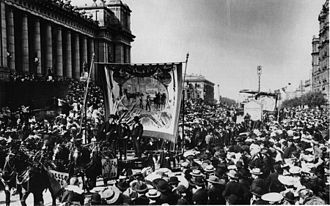 On 10 April, as the protests were still getting bigger, the government completely withdrew the law, the CPE sparked debates among the political classes, and drew massive protests from students in the streets of France, along with sudden strikes. Bagan is an ancient city located in the Mandalay Region of Myanmar. From the 9th to 13th centuries, the city was the capital of the Kingdom of Pagan, the Bagan Archaeological Zone is a main draw for the countrys nascent tourism industry. It is seen by many as equal in attraction to Angkor Wat in Cambodia, Bagan is the present-day standard Burmese pronunciation of the Burmese word Pugan, derived from Old Burmese Pukam. Its classical Pali name is Arimaddana-pura and its other names in Pali are in reference to its extreme dry zone climate and Tampadipa. The Burmese chronicles report other classical names of Thiri Pyissaya, according to the Burmese chronicles, Bagan was founded in the second century AD, and fortified in 849 AD by King Pyinbya, 34th successor of the founder of early Bagan. Mainstream scholarship however holds that Bagan was founded in the mid-to-late 9th century by the Mranma and it was among several competing Pyu city-states until the late 10th century when the Burman settlement grew in authority and grandeur. From 1044 to 1287, Bagan was the capital as well as the political, over the course of 250 years, Bagans rulers and their wealthy subjects constructed over 10,000 religious monuments in an area of 104 square kilometres in the Bagan plains. 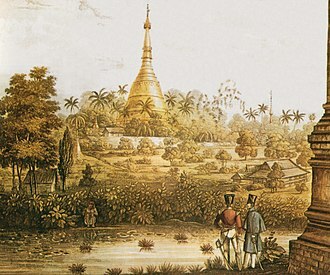 The city attracted monks and students from as far as India, Sri Lanka, the culture of Bagan was dominated by religion. The religion of Bagan was fluid, syncretic and by standards, the Pagan Empire collapsed in 1287 due to repeated Mongol invasions. Recent research shows that Mongol armies may not have reached Bagan itself, and that if they did. However, the damage had already been done, the city, once home to some 50,000 to 200,000 people, had been reduced to a small town, never to regain its preeminence. 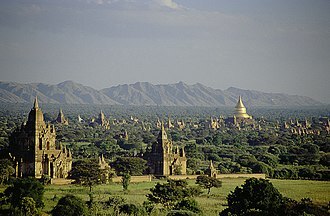 The city formally ceased to be the capital of Burma in December 1297 when the Myinsaing Kingdom became the new power in Upper Burma, Bagan survived into the 15th century as a human settlement, and as a pilgrimage destination throughout the imperial period. Bureaucracy means both a body of non-elective government officials and an administrative policy-making group. Historically, a bureaucracy was a government administration managed by departments staffed with non-elected officials, bureaucracy is the administrative system governing any large institution. The public administration in many countries is an example of a bureaucracy, since being coined, the word bureaucracy has developed negative connotations. Bureaucracies have been criticized as being inefficient, convoluted, or too inflexible to individuals, the dehumanizing effects of excessive bureaucracy became a major theme in the work of German-language writer Franz Kafka and are central to his novels The Trial and The Castle. The elimination of bureaucracy is a key concept in modern managerial theory and has been an issue in some political campaigns. Others have noted the necessity of bureaucracies in modern life, the term bureaucracy is French in origin and combines the French word bureau – desk or office – with the Greek word κράτος kratos – rule or political power. It was coined in the century by the French economist Jacques Claude Marie Vincent de Gournay and was a satirical pejorative from the outset. Gournay never wrote the term down but was quoted at length in a letter from a contemporary. Here, the sense was pejorative, with Irish novelist Lady Morgan referring to the Bureaucratie, or office tyranny, by which Ireland has so long been governed. By the mid-19th century, the word was being used in a neutral sense. In this sense bureaucracy was seen as a form of management. In the1920s, the definition was expanded by the German sociologist Max Weber to include any system of administration conducted by trained professionals according to fixed rules, although the term bureaucracy was not coined until the mid 18th century and consistent administrative systems are much older. Ancient Egypt had a class of scribes that administered the civil service bureaucracy. The Roman Empire was administered by a hierarchy of regional proconsuls, the reforms of Diocletian doubled the number of administrative districts and led to a large-scale expansion in Roman bureaucracy. The term is a truncation of the term liberal profession, which is, in turn, an Anglicization of the French term profession libérale. Medieval and early modern tradition recognized only four professions, medicine, the military officer, just as some professions rise in status and power through various stages, others may decline. Disciplines formalized more recently, such as architecture, now have equally long periods of study associated with them, any regulation of the professions was self-regulation through bodies such as the College of Physicians or the Inns of Court. With the growing role of government, statutory bodies have taken on this role. It may be resisted as limiting the freedom to innovate or to practice as in their professional judgement they consider best. An example was in 2008, when the British government proposed wide statutory regulation of psychologists, besides regulating access to a profession, professional bodies may set examinations of competence and enforce adherence to an ethical code. Typically, individuals are required by law to be qualified by a professional body before they are permitted to practice in that profession. However, in countries, individuals may not be required by law to be qualified by such a professional body in order to practice. This requirement is set out by the Educational Department Bureau of Hong Kong, Professions tend to be autonomous, which means they have a high degree of control of their own affairs, professionals are autonomous insofar as they can make independent judgments about their work. This usually means the freedom to exercise their professional judgement, however, it has other meanings. Professional autonomy is often described as a claim of professionals that has to serve primarily their own interests, one major implication of professional autonomy is the traditional ban on corporate practice of the professions, especially accounting, architecture and law. This means that in many jurisdictions, these professionals cannot do business through regular for-profit corporations, the obvious implication of this is that all equity owners of the professional business entity must be professionals themselves. A tailor is a person who makes, repairs, or alters clothing professionally, especially suits and mens clothing. The term refers to a set of hand and machine sewing and pressing techniques that are unique to the construction of traditional jackets. Retailers of tailored suits often take their services internationally, traveling to various cities, traditional tailoring is called bespoke tailoring in the United Kingdom, where the heart of the trade is Londons Savile Row tailoring, and custom tailoring in the United States and Hong Kong. This is unlike made to measure which uses pre-existing patterns, a bespoke garment or suit is completely original and unique to each customer. Famous fictional tailors include the tailor in The Tailor of Gloucester, The Emperors New Clothes, a more recent example is John le Carrés The Tailor of Panama. As the tailoring profession has evolved, so too have the methods of tailoring, there are a number of distinctive business models of which modern tailors may practice. While some may practice many, there are others who will only one or two. Local tailoring is as the name implies, typically the tailor is met locally and the garment produced locally. This method enables the tailor to take measurements, assess posture. Local tailors will typically have a showroom or shopfront allowing clients to choose fabrics from samples or return the garment easily should it require further modification and this is the most traditional form of tailoring. Hong Kong and London are the most famous for high quality bespoke tailoring, distance tailoring involves ordering a garment from an out-of-town tailor enabling cheaper labour to be used. In practice this can now be done on a global scale via e-commerce websites, unlike local tailoring, customers must take their own measurements, fabric selection must be made from a photo, and if further alterations are required the garment must be shipped. Today, the most common platform for distance tailoring is via online tailors, online tailors sometimes offer to pay for needed alterations at a local tailor. Bagan's prosperous economy built over 10,000 temples between the 11th and 13th centuries. To protect the city, public authorities ordered the Place de La Sorbonne closed. This square has been a symbol for French student protests since May 1968. In Cannes, on 31 March, a few hundred youths blocked the important junction "Place du 18 juin" for 10 to 15 minutes.